Make sure what is being deleted should have been deleted, and bring unnecessary or harmful deletions to the attention of the community and/or moderator team. Watch for signs of abuse being obscured by deletion. Don't abuse this privilege to stir up trouble when someone has wisely decided to remove a problematic post. You also have a new search operator available to find your own deleted posts: deleted:1. Before voting to delete, please check whether there are any good answers; if so, then the question should be flagged for moderator attention as a potential merge candidate. We don't like to lose great answers! Also, be cautious when deleting questions closed as duplicates; they can serve as a signpost, directing users to useful answers on another question. It takes 3 votes, minimum, to delete a closed question. However, the number of delete votes required scales to the number of votes on the question and all its answers. 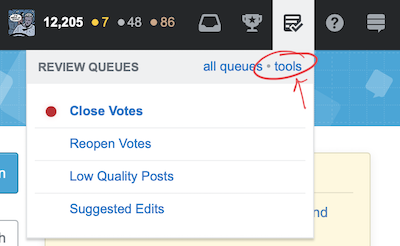 You can view a list of posts with outstanding delete votes via the moderator tools delete tab. Once a post has been deleted, it will disappear for all users except the post's author, developers, moderators, and users with this "access to moderator tools" privilege. However, deleted posts can be undeleted by casting undelete votes. Once a post has 3 undelete votes (more for highly-active questions), it will no longer be deleted. How many times can I vote to delete per day? At 10,000 reputation, you can cast 5 delete votes per day. An additional vote is granted per 1000 reputation, to a maximum of 30 delete votes per day. Find problems that've been overlooked and fix them if you can, or bring them to the attention of the moderators if you can't. The stats page is a gold mine for outliers that might benefit from a bit of attention from a wise, aged site veteran such as yourself. Find awesome stuff that reminds you of why you like coming here. The stats page is a good one for this too. Sanity-check the stuff that other people are doing, and offer guidance and correction where necessary: new tags, new answers, suggested edits, questions being migrated or closed, posts being deleted... Outside of /tools, you also get a full history of actions taken by others in /review by clicking the history tab in any queue, which can be helpful in identifying problems there as well. This allows you to quickly retag questions that need it, which you'll find especially useful combined with the list of new tags on the stats page.